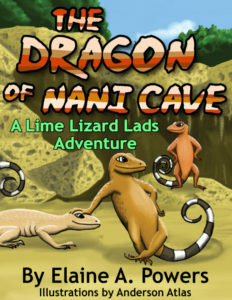 My love of lizards, especially big ones, has led to a variety of stories and scripts. I’m a native of Peoria, IL. I enjoyed growing up in the theater community made famous during vaudeville days with this slogan: “Will it play in Peoria?” I have been involved in a great deal of theater and singing, as well as being a biologist. Eventually, I progressed to writing short scripts for the stage and full-length scripts for radio theater. Several of the radio scripts were produced in NJ and NY by various theater companies and one has been recorded and released. 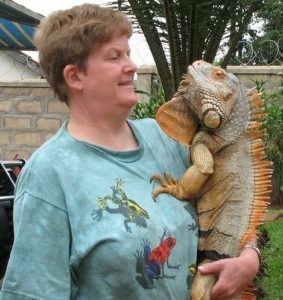 The greatest inspirations for my writing are my iguanas, my personal pets and the iguanas who passed through my Iguana Rescue in NJ. 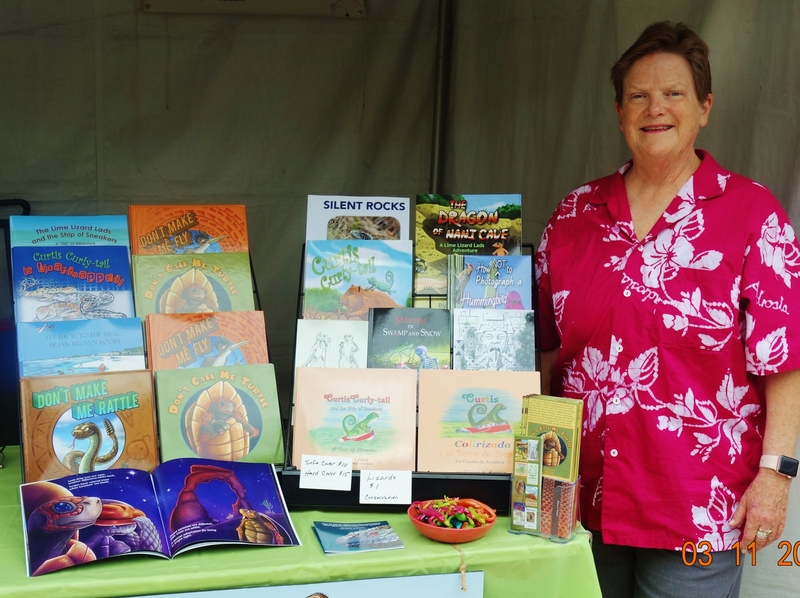 I am currently writing children’s stories, as well as murder mysteries. So many stories, so little time. I live with my iguanas (four species), tortoises, tegus, and two turtles. Elaine A. Powers at the Tucson Festival of Books, March, 2018. 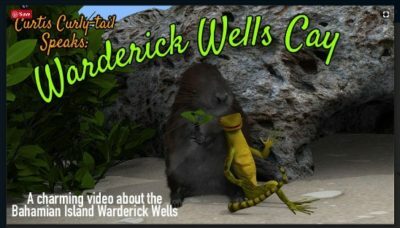 Curtis Curly-tail, the perfectly-sized lizard from Warderick Wells, hears something noisy in the night. It’s Horace Hutia and his family, crunching on leaves. 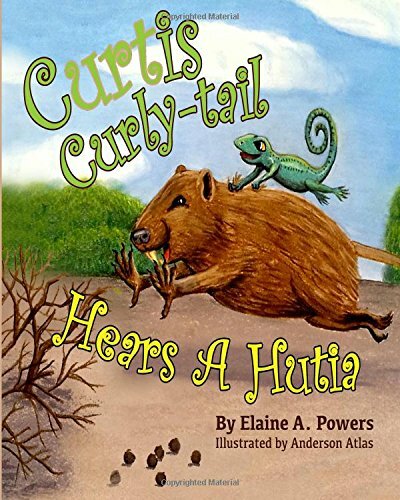 Curtis Curly-tail meets Horace, an endangered Bahamian hutia, a new resident of Warderick Wells. The colony of hutias are damaging the cay’s ecosystem. 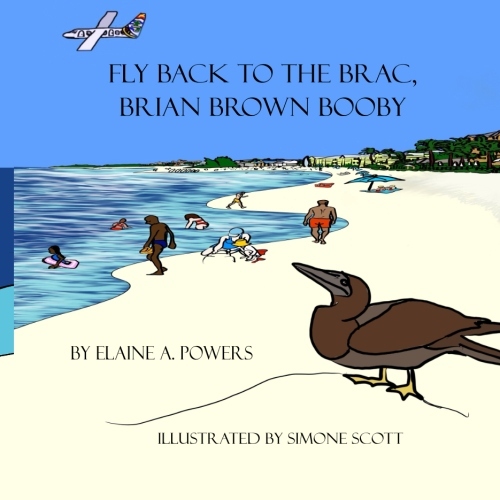 Scientists arrive to help, but what will happen to Horace? 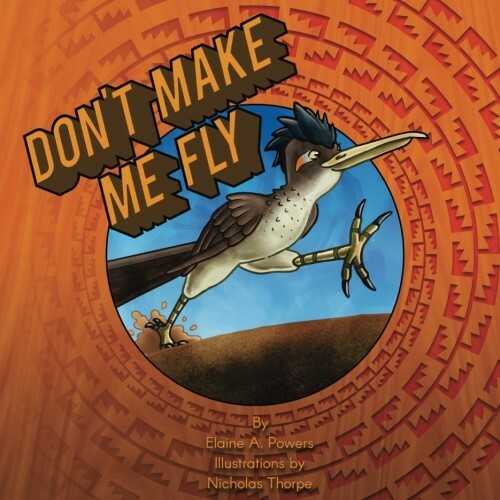 This book has several endings with different ways to solve the problem. 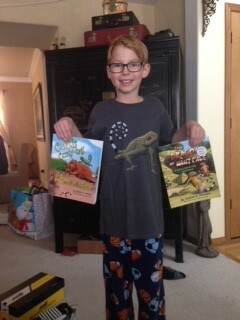 The reader decides which ending would help the hutias the most. 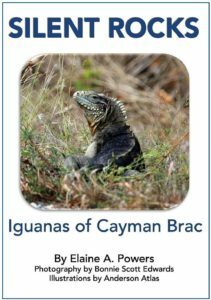 The population of the endemic Sister Island Rock Iguana (Cyclura nubila caymanensis) on Cayman Brac is in serious decline. These vegetarian lizards are an important part of the island’s ecosystem. The reduction in population is the result of human activity on their habitat. Threats introduced by humans can only be eliminated by human action. 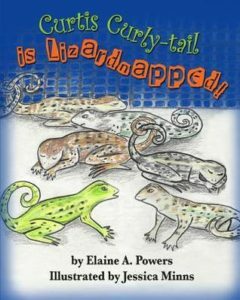 The fun and colorful curly-tail books are favorites among young readers. 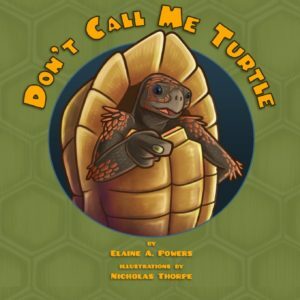 Tortoises and turtles may look alike, but they are VERY different! 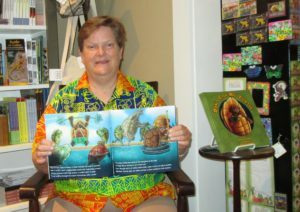 This fun, illustrated book teaches the differences between these two creatures, and explains a bit about the habits and preferences of the tortoise. Curtis, el perfecto lagarto rizado cola de Warderick Wells, decide ver donde los turistas vienen. Él se embarca en su aventura en un barco de zapatillas de deporte. Curtis, le lézard a’la parfaite queue bouclee de Warderick Wells, décide de voir d’où les touristes viennent. 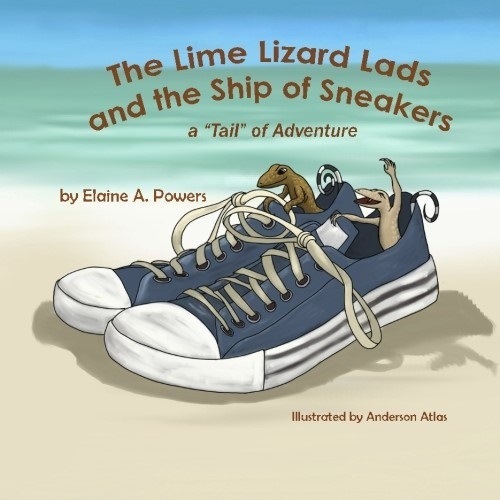 Il met le cap sur son aventure dans un bateau de sneakers.